Wrestling Club Goals – The simple goal of the Mukwonago Wrestling Club is to introduce your child to the sport. We want your child to have a fun and positive experience. Like most athletic activities, we will emphasize the fundamentals of the sport, including the basic skills, drills and technique. Questions? / Suggestions – When you register your child in the club, you also register your voice for questions and suggestions of improvement. If there are ever questions or suggestions, please contact a coach or a board member. Athletic Development – Please understand that your child may not have instant success in wrestling. Very few wrestlers start winning when they are first introduced to this sport. There will be other wrestlers who started earlier, have more wrestling experience, or may at this time be more athletically inclined. 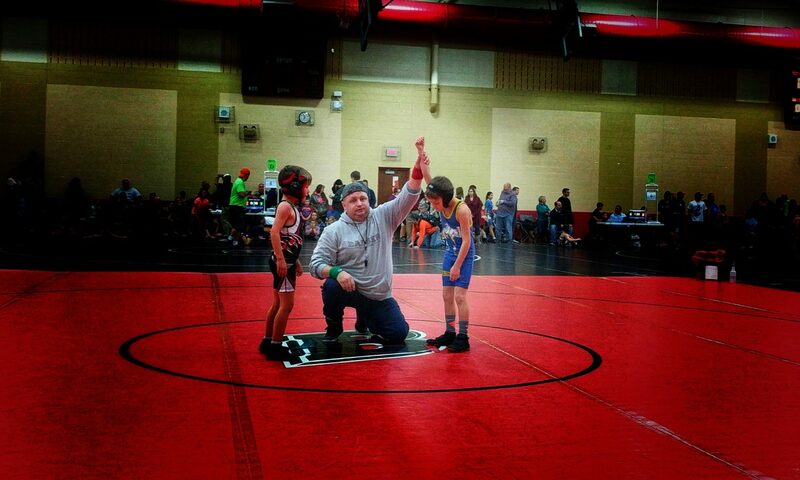 In some cases, it may be years before your young wrestler develops the competitive edge. The physical, emotional and competitive stages of athletic development will vary for every young athlete. Some children may be ready for tournament competition in their 1st year; others may develop this confidence later. You know and understand your child’s development more than anyone. Don’t push or drive too hard until you feel the child is ready. Give your child the choice, listen to what they say and give a lot of praise and encouragement. Parental Support – We encourage parents to attend wrestling practice with their child, especially at the younger levels. 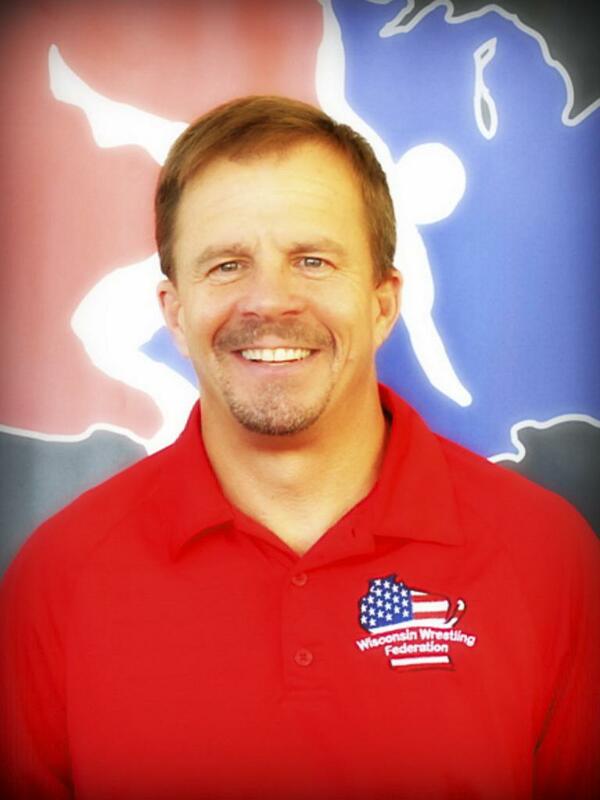 Parents may not have wrestling experience, but their involvement is critical. Your child’s progress in the sport can develop at a faster rate if you are assisting or are visible at the practice sessions. Competition, Winning & Losing – Unfortunately, many wrestling tournaments available to your child do not take into account your child’s athletic development or experience. Most tournaments take into account weight and age or year in school. On occasion it is not uncommon for your young wrestler to meet more physically dominant and talented wrestlers. Regardless of whether your child wins or loses, always reinforce the positive. Let them know you are proud of them no matter what the result is. Emphasize the importance of participation, not winning or losing. Losing can be more traumatic to a young wrestler due to the individual nature of the sport. Wrestling Styles – There are three primary styles in amateur wrestling: folk-style, freestyle and Greco-Roman. All three are taught at the Mukwonago Wrestling Club. Folk-style is the primary American style of wrestling coached in the Mukwonago Wrestling Club, taught December through March. It is also the style wrestled at the Middle School, High School and the College level. Freestyle and Greco-Roman are the internationally recognized styles of wrestling. It is the style you will watch at the Summer Olympic Games. These two styles are coached in the Mukwonago Wrestling Club, in April. Although these 2 styles are similar to folk-style, there are differences in scoring, strategy and technique. Freestyle/Greco wrestling is encouraged for the advanced youth folk-style wrestler. Most of the place winners at the state high school tournament have strong Freestyle/Greco backgrounds. Equipment & Dress – For club practices: shorts, clean tennis shoes, and a tight-fitting T-shirt are all that we require. Loose and baggy clothing is discouraged because hands and fingers can get twisted or bent. Wrestling shoes, headgear, and wrestling singlets are encouraged but optional. At the youth level practices, there is generally not enough contact to warrant the use of headgear. Headgear, however, is recommended to prevent rubbing, banging or twisting of the ear causing “cauliflower ear” (swelling and hardening of ear soft tissue). Mouthpieces are not required but highly encouraged for any one with braces. We ask that all wrestlers wear a clean pair of tennis or wrestling shoes. Do not wear the same shoes that you wear outside. Stocking feet are not recommended because they provide limited traction. We need to keep the wrestling mats clean at all times. Please, no street shoes in the wrestling room at any time ( this means Parents too). Sand and dirt deteriorate the mat surfaces. Parents and wrestlers, please remove all footwear before entering the wrestling room. Do not play on fitness machines or equipment. Please respect the coaches and both groups by staying quiet while we coach in the center. Please, no climbing or running up the wall mats. Make sure you take home everything that you brought to practice. Shoes, shirts, headgear are often left behind and disappear. Report all injuries to the coach immediately. Injuries & Skin Conditions – Wrestling is a contact sport. Jammed fingers, bloody noses, and sore muscles are common in this sport. Major injuries in all contact sports can occur, but are not common. We make an effort to monitor practices carefully so illegal holds or potentially dangerous predicaments are halted at once. Because of the number of wrestlers at club practices, it is difficult to see everything at all times. If at any time you see a wrestler in a move that looks potentially dangerous or hazardous, do not hesitate to stop the wrestlers. Wrestling is a safe sport and has no more injuries than football, soccer, basketball or baseball. If at any time your child breaks out with a skin condition or rash, report it to the coach and see your family doctor. On rare occasions we will have a case of a rash break out on a wrestler. The most common types of skin conditions are ringworm, impetigo, boils and cold sores. Although these conditions are often blamed on the wrestling mat, the likely case of transmission is through bodily contact. Our wrestling room is supposed to have the wrestling mats are disinfected daily, if you can help mop the mats that would be great. Wrestling Associations – The primary wrestling association in Wisconsin is: WiWrestling. Our club is affiliated with the USA Wrestling organization. It also provides secondary injury insurance if your child is injured at a tournament or practice, and is required by the school district to practice and hold tournaments at the high school to limit their liability. Most, but not all, wrestling tournaments, require that you purchase a USA Wrestling Card. Proof of date of birth is required for these cards. These cards offer injury insurance if your child is injured at a tournament or practice, and you do not have a primary health insurance. Newsletters and magazines are also part of the card fee. Kids Tournaments – The traditional youth ( Grades K – 8 ) folk-style wrestling tournaments begin in January and ends in March. Youth tournaments are held at most all schools throughout the state. You can travel as much as you like, but it is not necessary. As mentioned before, most tournament pairings are made by age / year in school and weight. Your young wrestler could be bracketed in with more experienced wrestlers. Tournament entry costs range between $15.00 – $20.00. Most tournaments are 4-man round robin, so each wrestler has 3 matches consisting of 3 one-minute periods. Medals and occasional trophies or ribbons are distributed to each wrestler at the end of the tournament. Weigh-in times will vary but are usually on the same day of the tournament from 7:00 a.m. to 8:30 a.m. The number of tournaments you attend is up to you, But these tournaments offer the needed “mat time” for success in the sport. Finally we have this web site: www.mukwonagowrestlingclub.com. It contains a ton of information both inside and outside the club, including updates to schedules and other events. We wish you the best of success in the sport of wrestling. Hopefully this guide has sufficiently outlined the opportunities ahead. Good luck!